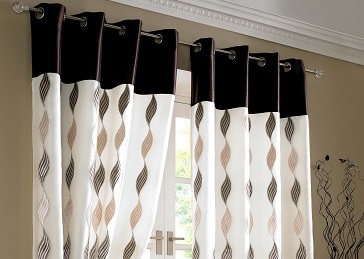 Decorative Rods and Eyelets offer a modern style look coupled with ease-of-use which is second to none. This innovative new curtain design usually features lopped holes at the top of the curtain, which run through a stylish rod. They can be open and closed by simply pulling them as required.